The aim of the workshop is to provide an opportunity to hear about the way in which the Charity Commission views serious incidents and how they handle the reports which are made to them. This is about helping you understand the reasons for reporting a serious incident in your charity. Whilst the circumstances of incidents vary in type and in the impact they have, Chairs and trustees can work to limit the likelihood of an incident happening and to minimise the impact on the charity when they do. We will take a closer look at fraud and safeguarding as these are areas where serious incidents are most common. Representatives of the Charity Commission will talk to us about their approach to these issues and lead group discussions on the issues. This event is free and open to Chairs and Vice Chairs although priority for places is given to our members. Why not become a member and get early priority booking as well as additional membership benefits such as copies of our guides? You can join if you are a Chair or Vice Chair of a charity or non-profit organisation (see full eligibility criteria). It costs just £50 for those from organisations with incomes under £5 million and £100 if your organisation’s income is over £5 million. See also: Reporting and avoiding serious incidents – blog post. 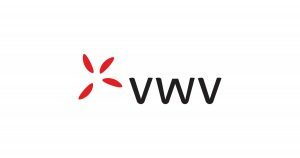 Kindly supported by VWV Law Firm.